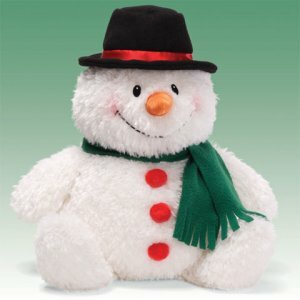 10", Shaggy white plush, black hat, carrot nose, green flet scarf and 3 pompom red buttons. Non jointed, hand wash cold, mild suds, air dry. The most huggable snowman ever, no matter what the weather!! !